Super Bowl Sunday (a.k.a. Game Day or The Big Game) is known as much for food as for football. 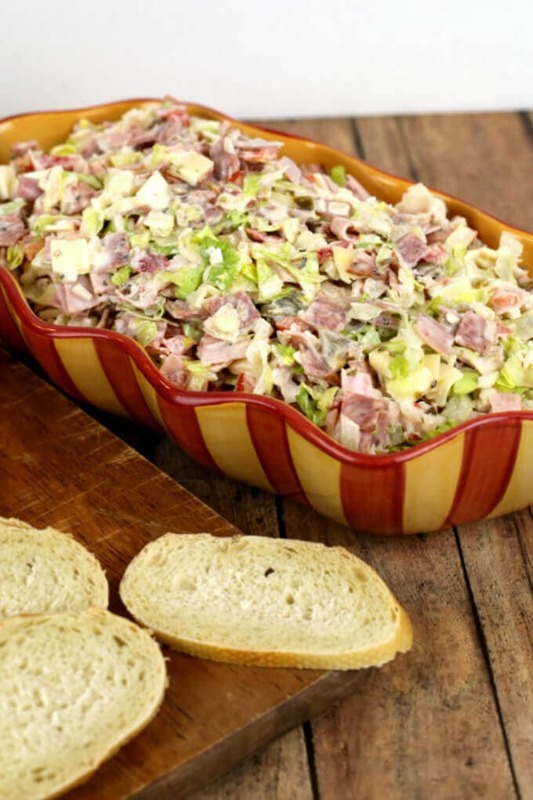 Even if you don’t care about the teams playing this year, you can invite a few friends over to watch the entertaining commercials and nosh on appetizing party foods. 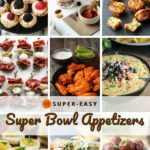 One key to throwing the perfect Super Bowl party is putting together a menu that features a variety of tasty Game Day appetizers without spending days in the kitchen. 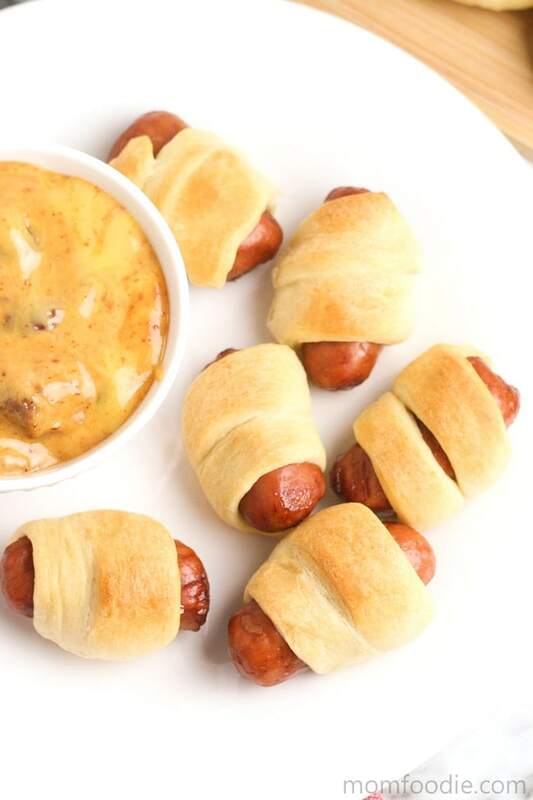 These 19 easy Super Bowl appetizers come together quickly with just a few ingredients. When planning my game day menu, I start with a substantial entree, like chili, pizza or sliders. I’ll add a salad, a cheesy dip, 2-3 different appetizer bites, and a couple of desserts. That’s why I love easy Super Bowl appetizers. If I’m going to make that many dishes, some of them have to be easy! 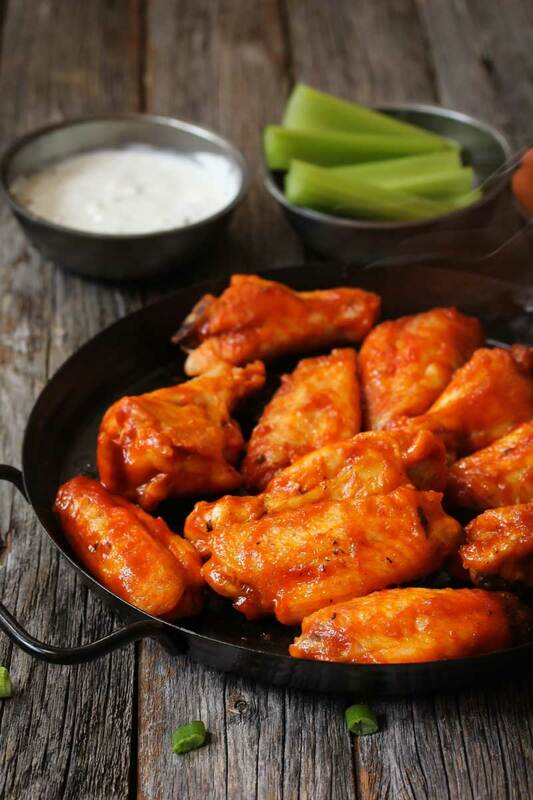 Surveys rank Buffalo wings as the #1 Super Bowl food. It’s easy to make crispy restaurant-style wings without a deep fryer, if you know the right way to do it. Don’t forget the celery sticks and creamy blue cheese dip! This classic meatball recipe features a surprising ingredient: grape jelly. 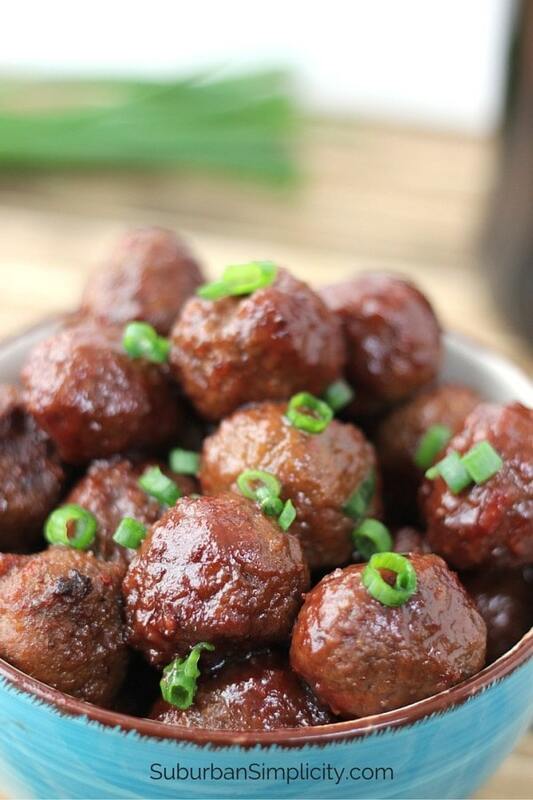 Don’t knock it ’til you try it – these easy three-ingredient meatballs are sweet, spicy and meaty – everything we love about Game Day appetizers! Every Super Bowl party REQUIRES a cheesy dip. 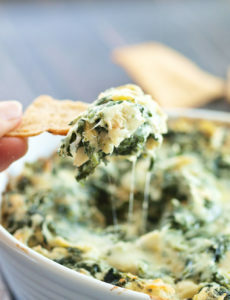 This skinny spinach artichoke dip is creamy and cheesy, but lower in fat and calories than the average spinach artichoke dip. 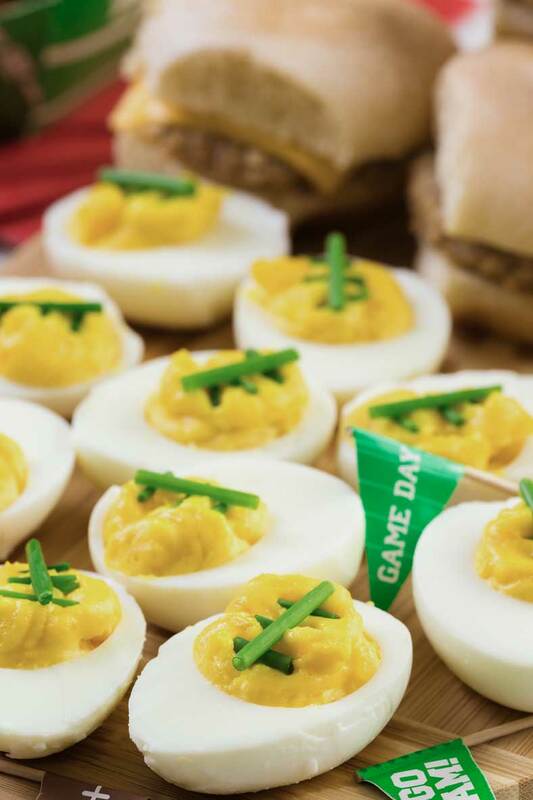 People love deviled eggs, and if they look like tiny footballs, that’s even better! These football deviled eggs are adorable, low carb and full of protein. 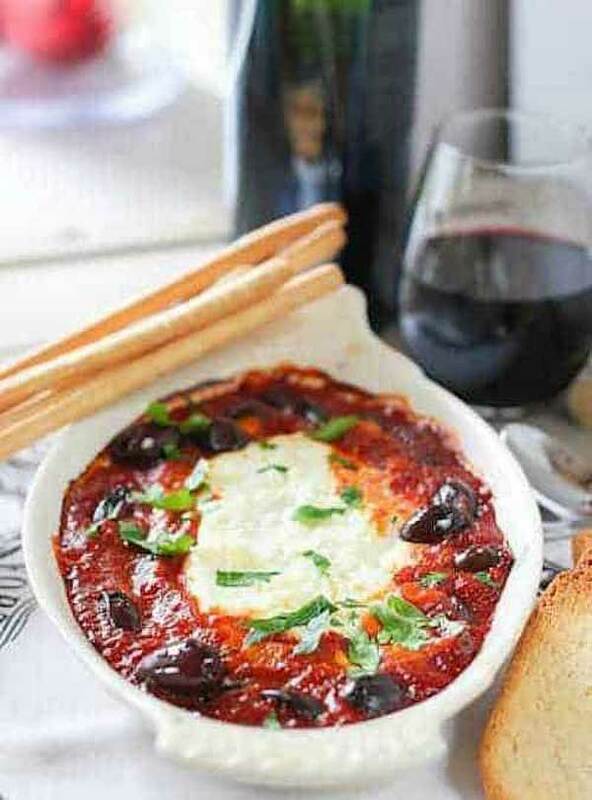 Warm, melty baked goat cheese with marinara sauce takes almost no time to prepare but will leave your guests drooling! This beautiful, elegant appetizer comes together with only three ingredients. 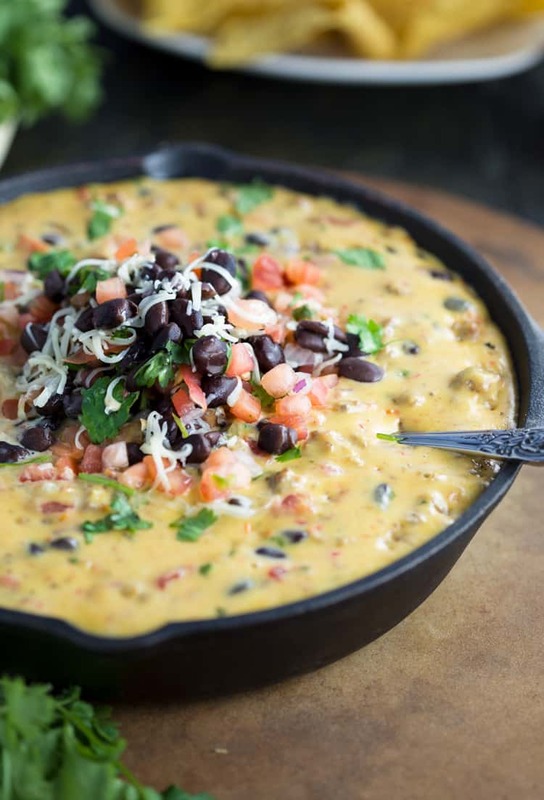 Cowboy Queso is another excellent pick to fill the cheesy dip slot in your Super Bowl menu. Much more than a basic queso, Cowboy Queso is amped up with ground beef, black beans, fresh onions, and fresh cilantro. 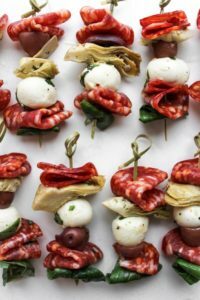 These elegant little skewers are packed with flavor from spicy pepperoni, briny olives and lemon-herb marinated mozzarella. Just try not to eat too many of them before your guests arrive! Hot corn dip has everything you want in a Game Day appetizer: sweet corn kernels, a touch of spice, and plenty of melty CHEEEEESE! Sweet honey barbecue wings with garlic and spice make a great side-by-side with baked Buffalo wings. 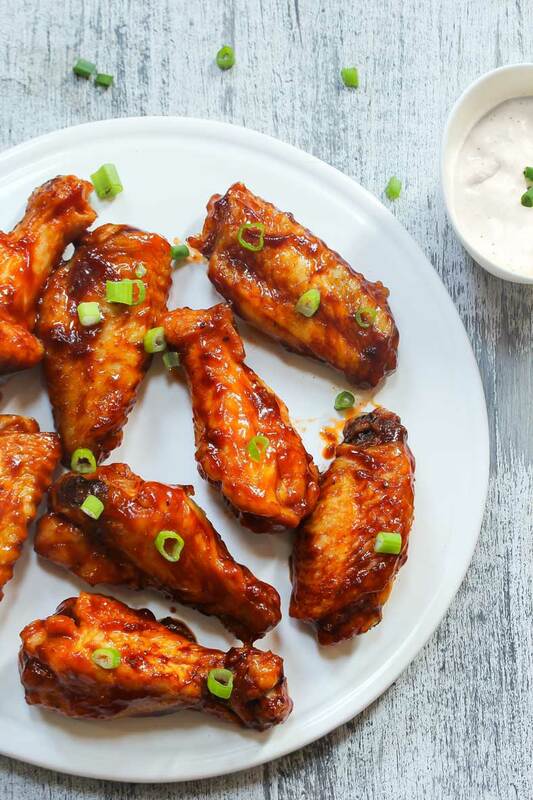 Crispy, addictive wings, and not a deep fryer in sight! Mini pigs in a blanket is probably my family’s favorite appetizer. This classic app is loved by kids and adults, and it’s made with only two ingredients. Ham and Swiss baked sliders are true crowd-pleasers! 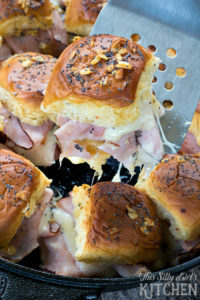 The savory butter sauce is the flavor secret that elevates these sliders above your everyday ham and cheese. 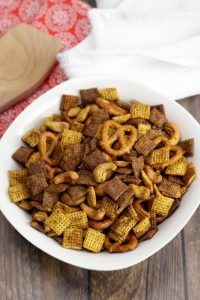 Chex mix always makes an appearance at parties in my husband’s family. This classic savory snack mix gets kicked up a notch with garlic powder and cayenne. 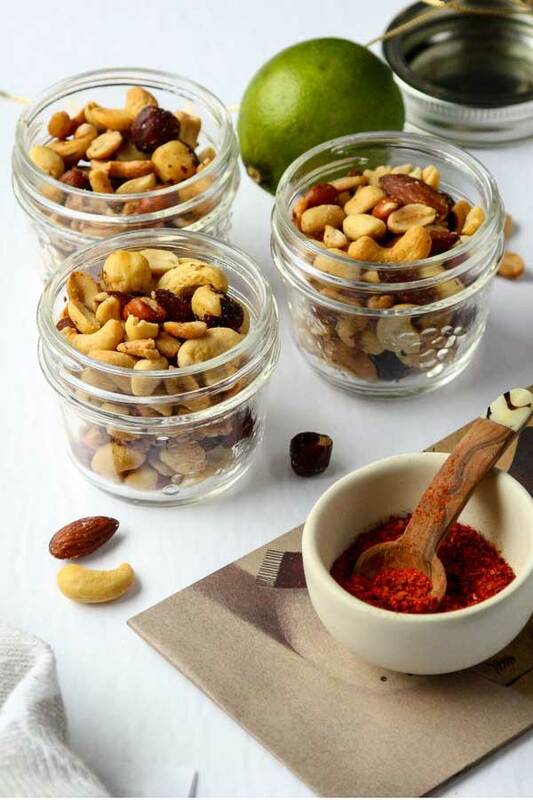 These chili lime spiced nuts are totally addictive! They’re also vegan and full of healthy monounsaturated and polyunsaturated fats. 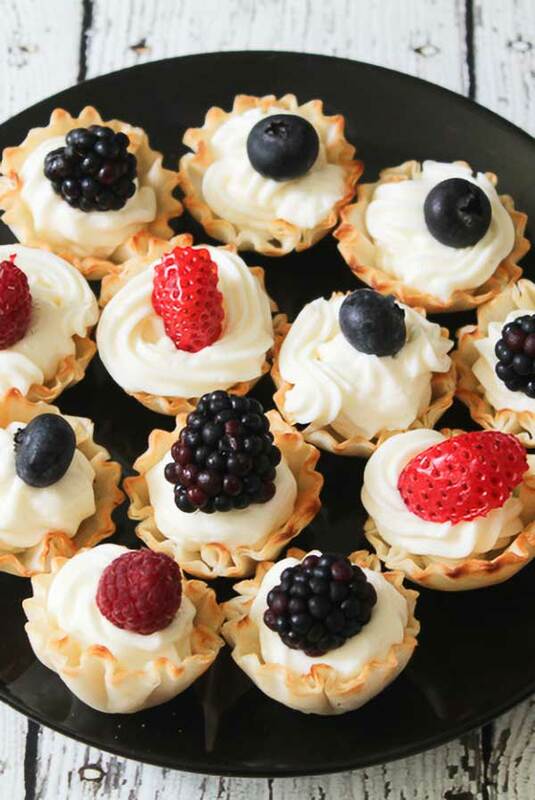 These gorgeous phyllo fruit cups are super-simple with only five ingredients. This appetizer/dessert comes together in minutes with pre-made frozen phyllo tart shells. 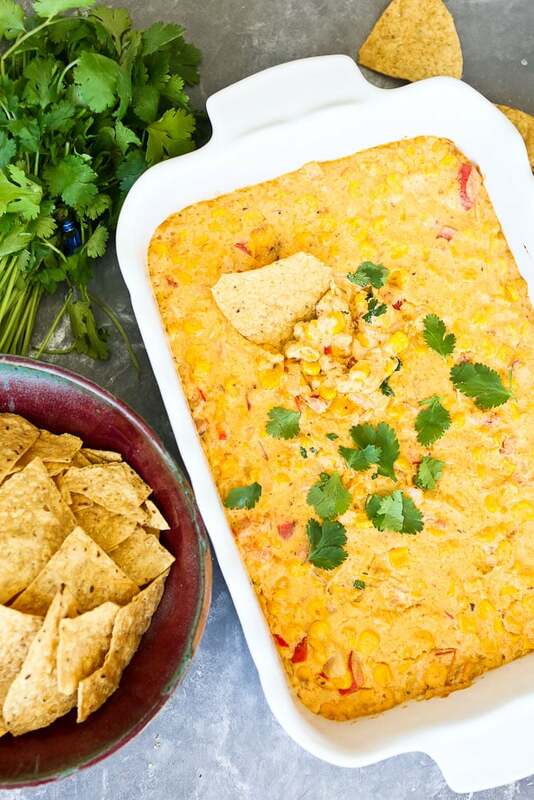 Is it even possible to throw a Game Day party without guacamole? I’m sure it is, but why would you want to? 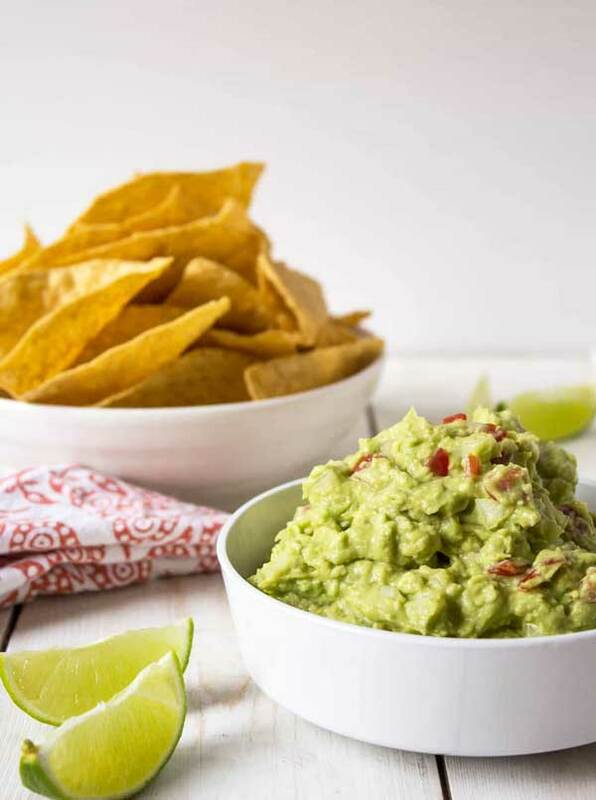 This ultra-simple homemade guacamole is easy, tasty and healthy, with only four ingredients. Is it a hoagie, a sub or a grinder? Everyone’s favorite Italian sandwich is even more fun turned into a party dip. 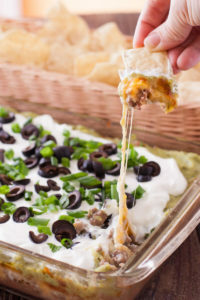 Seven-layer dip is my absolute favorite dip – something my mom makes often when she knows I’m coming over. 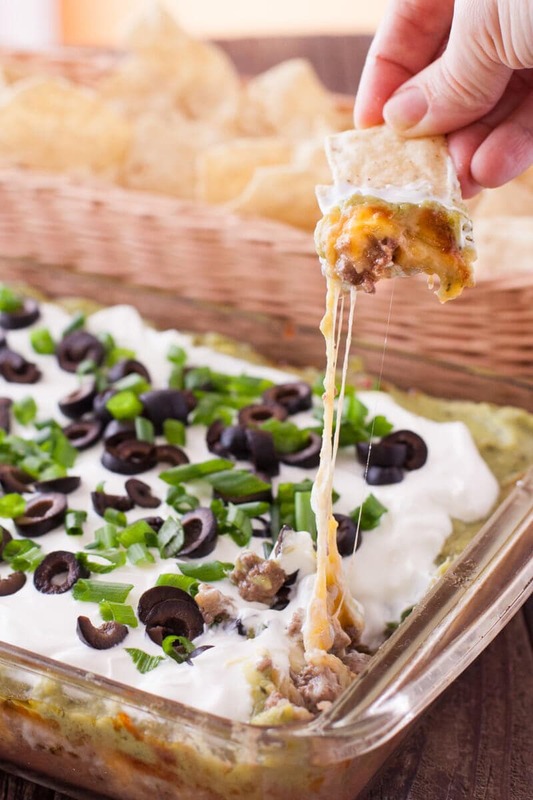 This warm, baked version of seven-layer dip is heartier than the classic version, “beefed up” with seasoned ground beef and plenty of gooey cheese. 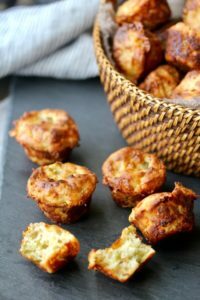 These jalapeño cheddar mini muffins are great on their own or as an accompaniment for chili. 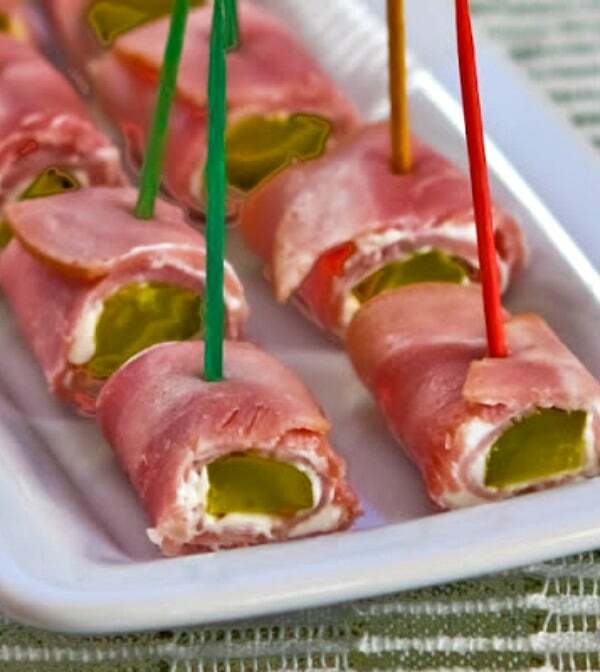 These cute mini appetizers get a huge flavor boost from cheese, jalapeño and french fried onions.